Guaranty Title Company of Boerne believes that gaining the trust and respect of an entire community is not accomplished overnight. It takes years of conscientious, professional and courteous service to attain these attributes. Since our company's inception in 1974, our philosophy has always been, "anything worth doing, is worth doing right." This philosophy is reflected in the efforts of the people who make up the staff at Guaranty Title Company of Boerne and is also the catalyst for the company's continued growth and success. 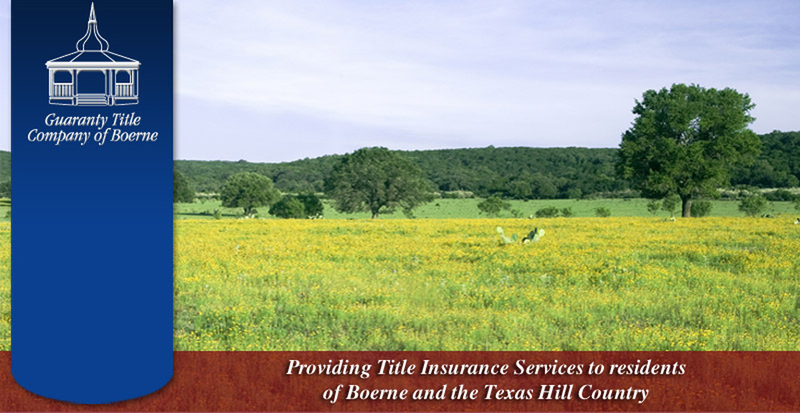 Guaranty Title Company of Boerne is not in business because of our Customers, we are in business for our Customers.